Hello and goof morning or good night depending on what hour you are reading this. I want to start today’s article saying that dental hygiene is the most important part of oral health. In order to keep your smile nice and healthy you have to follow the basic rules of a dental care routine. If you do not know what they are, I will go into them in a bit. But today I want to talk about the perks of dental toothpastes, often overlook by patients. As I was saying, having a nice dental care routine is very important for your teeth’s health. Brushing at least twice a day every day is mandatory to achieve that beautiful smile that draws people’s attention. That smile that you look yourself at the mirror and boost your own confidence, that is what we are going for. Well the key secret to achieve that is to pick the right toothpaste for you. With many types of toothpaste in the market out there it can be daunting to choose the correct one. To cover all ground I always suggest to patient to stick with toothpastes with the American Dentists Association seal of approval. This is a sign that the product is safe to use and will work great for cleaning and protecting your teeth. You do not want to buy other products that do not have that sign because it can be very risky or unhealthy for your mouth. 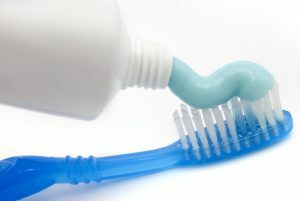 Generally you would want to stick with toothpastes with fluoride, because they do wonders to clean your teeth. But there are so much more besides just fluoride, you have to evaluate your needs and taste. For example, for your kids it is better if they use toothpastes for kids, as they are friendlier and have sweeter taste. It is the same for adults, you want one that adjust to your current situation. For people with stained teeth, maybe they need a whitening toothpaste. These are really a great product to white stained teeth, although you have to be careful when using it. Whitening toothpastes are often really abrasive so you can’t abuse its use. At the same time if the stained teeth is too advanced it is better to consult with your dentist. 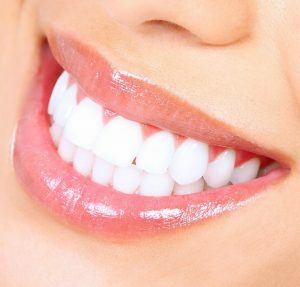 If you are looking for cheap prices in laser whitening or just regular whitening, Dental Solutions is the place for you. We are located in Los Algodones just about 7 miles from Yuma, Arizona and we have a staff fluent in English and prepared to help you with more than teeth whitening. I want to address a little something about toothpastes that I have been hearing lately. I came across a patient that is vegan, and she was wondering about vegan toothpaste. At first I was really amazed about the existence of a vegan toothpaste. So I made a little research to find out if it was really worth it, but in the end everything is fine. If you are a vegan then be glad that you can use a toothpaste made just for you. The same rules apply for this one, search for the ADA seal of approval. Find a toothpaste that covers your necessities and have a nice flavor for you. In the end what matters the most is that you feel satisfied and nice about your purchase. Comfort is just as important as utility and health. Remember to complete your dental hygiene with some dental floss and mouth wash after brushing and visit your dentists at least twice a year. Until next week, stay fresh!